Face-to-face interviews with personalities who define sports in the 21st century. NBC 6's Dan Grossman reports on the arrest of a local track and field star. A top track star from South Florida was arrested on Monday and accused of attempted grand theft of a vehicle. The suspect, who is a junior in high school, said he planned to graduate early and attend college later this year. Tyrese Cooper, a junior at Miami Norland Senior High School who is a national track and field star, has been arrested on charges including attempted grand theft of a vehicle. 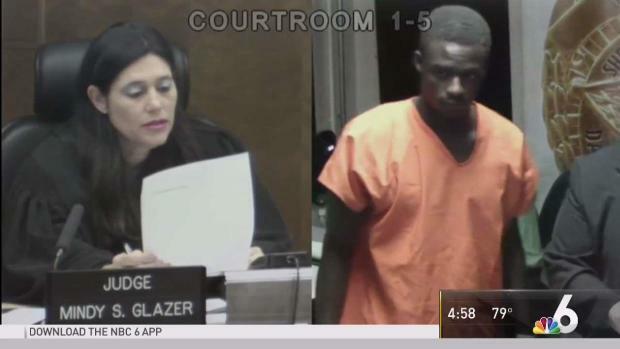 The 18-year-old who on Tuesday in court said he planned to graduate early to attend college in December was arrested on Monday in Miami. Cooper is a top athlete in the 100 meters, 200 meters and 400 meters events. An arrest report alleges Cooper and co-defendants were "observed casing the 3rd floor of the Miami Intermodal Center" by a Hertz car rental manager. The group was later seen in an unauthorized area for traffic, identified as a car wash. The manager saw chains were cut from concrete barricades in the area where the suspects were parked. The arrest report indicated there had been recent attempts to steal rental cars from the center. A police officer stopped the group and detained them when he saw a bolt cutter within the vehicle. Police later confirmed the vehicle occupied by Cooper and the other suspects was the same one previously seen in the attempt to steal cars, the arrest report added.